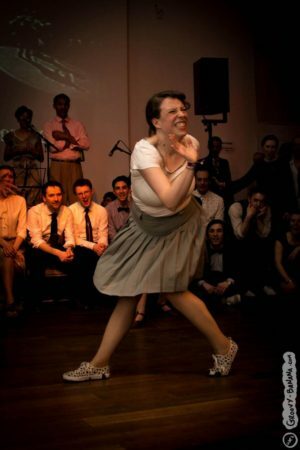 Cat Foley is a Lindy Hop and Authentic Jazz dancer, teacher and performer based in the United Kingdom. Lindy hop. The complicated stuff down to the bare necessities. Cat’s got your back. Cat has been teaching lindy hop for ten years. She teaches beginner to advanced-level classes at large international events across the UK and worldwide, and in her current home scene with Swing Patrol London. She loves sharing this incredible dance with as many people as possible and brings an infectious joy and energy to her classes. See where she’s teaching next on her Calendar! 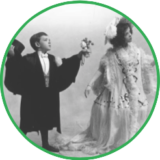 Cat’s dance partner is the equally incredible Cam Mitchell, and together they have created a unique and hilarious teaching partnership to get all your students laughing and learning in equal measure. Find out more about Cat & Cam here! Cats are notoriously solitary animals. So naturally, Cat has solo jazz well covered. Cat discovered the joys of solo jazz roots soon after starting swing dancing and she hasn’t looked back since! Cat was one of the first dancers in the north of England to champion solo jazz ten years ago, and today is an internationally recognised jazz instructor. 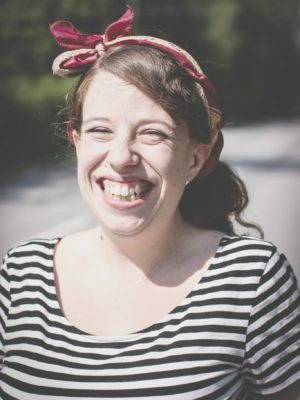 She runs weekly solo classes in London and regularly teaches solo jazz tracks at festivals across Europe. 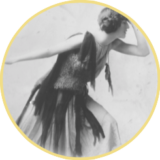 Her classes combine a love of the history of the dance with a strong focus on technique, creativity and improvisation. Cat believes solo isn’t just for routines – it’s for life! Let Cat help you take the drama out of your dancing! 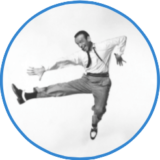 Does your lindy hop or solo jazz need a bit of fine tuning? Swing outs more like ming outs? Too much rock and not enough step? Cat can help! Whether it’s just you, a couple or a small group, email Cat to discuss what private classes she can offer! Cat has a wealth of experience in engaging primary and secondary school students in the performing arts, with a particular focus on dance and drama. She provides extra-curricular opportunities for students across the UK via both structured weekly programmes and one-off taster sessions. Cat is an extremely gifted teacher. We had consistently amazing feedback about her classes at Girl Jam. Not only is she incredibly talented and knowledgable but she is a warm and approachable person who makes learning accessible and achievable. I have worked with many solo jazz teachers over the years and few have Cat’s ability to impart their knowledge in such an inspiring and empowering way. Cat has taught workshops for Lindy Jazz and DJam for a numbers of years. She has been asked to come back again and again because we love her! Cat is incredibly professional; she works hard to bring her students the best possible classes and she inspires us with her natural humour. Cat brings joy and real energy to DJam. Cat frequently invents new, fun, simple exercises that greatly challenge your rhythm and balance. She has changed the way I think about dance improvisation. Want to hire Cat & Cam for your event? I teach in London with Swing Patrol at Solo classes on Wednesdays, at Vauxhall on Tuesdays and co-lead SP London’s prestigious Skyliners troupe. I also teach private classes, create bespoke choreographies for stage or wedding first dances and can offer online coaching. 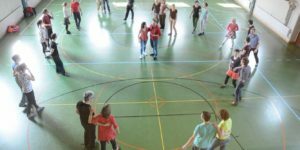 5th-7th: Savoy Cup, France- Competing and Social Dancing! 12th/13th: Swing Sister Swing Show at Richmix!